The development of Armaflex, the first flexible product for insulating pipes, revolu­tionized the market for insulation materials in the fifties. The new material was unique in that it had excellent technical properties and could be installed easily and cleanly. It brought an end to the lengthy process of installing heavy, rigid insulation shells and the time-consuming use of bitumen and gypsum compound. The launch of Armaflex marked the birth of a new branch of industry: the flexible technical insu­lation sector. 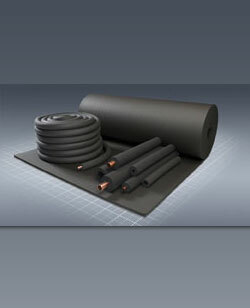 Today Armaflex is the world’s best-known brand for flexible technical insulation. Since developing and launching Armaflex, Armacell (and its predecessor company Armstrong) has shaped the industry decisively. The company has made a great con­tribution to professionalizing the use of technical insulation materials and as a tech­nology leader has set industry standards through­out the world. All significant innova­tions in the field of flexible technical insulation materials have come from Armacell.